The Wildwood Girls with NEIL!!! Hey Mark, only 14 weeks til Atlantic City!!! What's Been Cooked Up Lately? Click HERE for a full NEIL!!! April Calendar! Don't forget to set those clocks ahead! With Your Best Shot," "We Live For Love" and "Heartbreaker"
women and the young men who loved them. eight of them, winning an unprecedented four consecutive years. In 1979, Pat debuted with the platinum "In The Heat of the Night"
success thanks in part to the seeds planted by the pioneering Benatar. 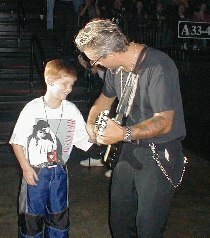 guitarist, songwriter, producer, collaborator and bandmate Neil Giraldo. April 9--10 year anniversary of the release of TRUE LOVE! but I can't remember who! album news, an upcoming feature in US Magazine, and some concert dates! 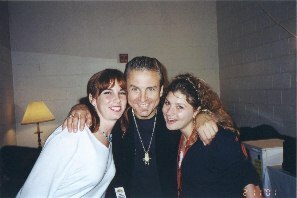 Recent concert photos now online at the Benatar Fan Club Photo Gallery! Gino Calistri (from NEIL!!! country) for saving the NEIL!!! site!